A bit of chemistry. 0001. The scientific method. In this series Jesús Joglar introduces us to the world of chemistry. It is a way of research used mainly in the production of knowledge in the sciences. To be called scientific, a research method must be based on experience and measurement, it has to be subjected to specific principles of reasoning tests. In short, the scientific method is a procedure that involves systematic observation, measurement, experimentation, formulation, analysis and modification of hypotheses. It is supported by two fundamental pillars. The first is the reproducibility, i. e. the ability to repeat a given experiment, anywhere, and by anyone. It is essentially based on communication and publicity of the results (e. g. in the form of a scientific paper). The second pillar is the ability to be disprovable. That is, that all scientific proposal must be capable of being refutable, implying that it should be possible to design experiments that, in the case of yield results different from those predicted, would deny the hypothesis tested. En realidad, no existe un único método científico. 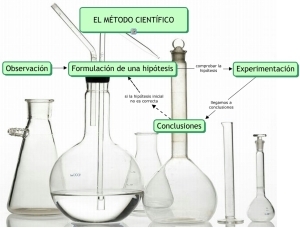 Los científicos usan métodos definitorios, clasificatorios, estadísticos, hipotético-deductivos, procedimientos de medición, etc. Referirse al método científico es referirse a este conjunto de tácticas empleadas para constituir el conocimiento, sujetas al devenir histórico, y que eventualmente podrían ser otras en el futuro. Actually, there is no single scientific method. Scientists use different methods as defining methods, classification, statistical, hypothetico-deductive, measurement procedures, etc. When talking to the scientific method is to refer to this set of tactics to constitute knowledge, subject to historical development, and that could eventually be others in the future. In general, all the sciences rely on variants of the scientific method as a way to standardize research. The first step is to define minutely the problem. The next step is to conduct experiments, make detailed observations and record information or data concerning the system, that is, the part of the universe under investigation. The data obtained in an investigation may be qualitative, ie, consisting of general observations about the system, and quantitative, ie comprises the amounts derived from various measurements of the system. Chemists use symbols and equations in recording their measurements and observations. This form of representation not only simplifies the registration process, but also provides a common basis for communication (it is a language) with other chemists. Once the experiments are completed and the data recorded, the next step of the scientific method is the interpretation to try to explain the observed phenomenon. With the data collected, the researcher formulates a hypothesis, which is an attempt to explain natural law. Then, additional experiments are designed to verify the validity of the hypothesis in as many ways as possible and the process begins again. After collecting a large volume of data, it is often advisable to summarize the information in a concise manner, as a law. In science, a law is a concise verbal or mathematical statement of a relationship between phenomena that is always true under the same conditions. The hypothesis that resist many experimental tests of their validity can become theories. A theory is a model or a way to examine the nature that can be used to explain natural phenomena and make predictions about them. Theories are also under constant evaluation. When different or contradictory theories are proposed, usually the one that provides the best predictions is chosen. The theory requiring the least number of assumptions, ie the simplest theory, is also preferred. If a theory is refuted in an experiment, it has to be discarded or modified to make it compatible with the experimental observations. It may take years, or even centuries, to approve or disprove a theory, partly because of the lack of the necessary technology. The atomic theory is a case in point, more than 2000 years were needed to confirm this fundamental principle of chemistry proposed by Democritus, a philosopher of ancient Greece. The scientific method originated in the seventeenth century with people like Galileo Galilei, Robert Boyle and Isaac Newton among others. The key to the method is that no initial assumptions are made, but detailed observations of natural phenomena are carried out. When you have made enough observations as to begin to emerge a pattern of behavior, a generalization or natural law that describes the phenomenon is formulated. Natural laws are concise sentences, often in mathematical form, about the behavior of nature. The process of observations that lead to a proposal of a general nature or natural law is called inductive reasoning. For example, in the early sixteenth century, the Polish astronomer Nicolaus Copernicus (1473-1543), based on a careful study of astronomical observations, concluded that the Earth moves around the Sun in a circular orbit, although at that time it was taught, without any scientific basis, that the Sun and other heavenly bodies revolve around the Earth. We can consider the proposition of Copernicus as a generalization or natural law. To test a natural law a controlled situation or experiment is designed to see if the conclusions drawn from the natural law consistent with the experimental results. The success of a natural law comes from its ability to synthesize observations and to predict new phenomena. The work of Copernicus was a great success because it was able to predict the future positions of the planets more accurately than his contemporaries. However, natural law is not an absolute truth. Future experiments may force us to change the law or discard it. Thus, in the case of the heliocentric model of Copernicus, half a century later, Johannes Kepler showed that the planets do not follow circular but elliptical orbits. 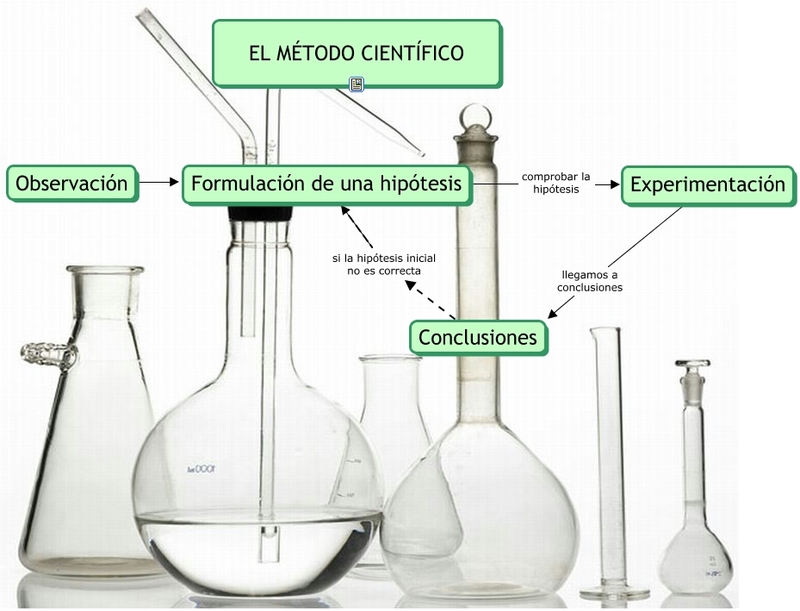 In summary, the scientific method is the combination of observations and experiments with the formulation of laws, hypotheses and theories. Conclusion: record all your experiments, even if you do not use precisely measured quantities. It may be helpful. You may stay tuned, more texts to come in the near future.